The mission of the Cassini spacecraft which started in 2005, and remains on duty to this day, is quite a remarkable accomplishment. Cassini has gathered much needed direct observations which we can learn from. Water ice-jets which create ice grains escape the moon’s gravity providing material for one of Saturn’s rings. “Scientists with the Cassini team created a map of the gravitational tidal stress on the moon’s icy crust and compared it to a map of the warm zones created using Cassini’s composite infrared spectrometer instrument (CIRS). Assuming the greatest stress is where the most friction occurs, and therefore where the most heat is released, areas with the most stress should overlap the warmest zones on the CIRS map. With this falsification, evolutionary scientists invoke a wobble that creates heat beyond what tidal heating does. The question I would pose to such a theory beyond the “wobble” would be, why are neighboring moons like Mimas which is bigger than Enceladus and endures more tidal stress than Enceladus is not active? “These tidal forces could be responsible for heating up the interior of the moon, Spencer said. Tidal heating — the distortion of the moon’s shape that produces heat through friction — could be a reason for the moon’s warm interior, but that only explains part of the heat production. This is a typical problem with evolutionary research, they try and bluff their way through when their theory doesn’t match up with direct observations. Promising its readers it’s going to eventually be a scientific breakthrough. However, being fitted is one thing, but direct observations suggest, Enceladus is much younger than 4.5 billion years old and was designed by God! Should There Be Higher Expectations With Space Exploration? While some evolutionary scientists are working on inventing various scenarios on how they view nature evolving which is impossible to confirm considering not one of these scientists were able to observe the past in which they are studying. For example, birds have been researched over many years to answer a basic question, why do they exist in the evolutionary framework? From an evolutionist standpoint, a new theory on the origin of birds has been created to answer the basic question. Although it’s not the correct usage of the term ‘theory’ but rather an “hypothesis” so what is their reasoning? According to the new ‘theory’ in Physorg, “Scientist cites enlarged skeletal muscles as reason birds exist.” In other words, this scientist is suggesting that birds have strong muscles; therefore, these amazing creatures must have evolved. Circular reasoning! Waste of public money! Now what about these ‘theories’ explaining things like our solar system? Have you ever had a career where management was consistently wrong but yet still considered experts? If management is consistently wrong, nothing could be built or produced. This is not to say there might be efficiency issues which is another subject, but accomplishing products or services to remain in business. When it comes to exploring space, planetary scientists have a track record of consistently getting it wrong with their various ‘theories’. Unlike Darwinian evolution where one cannot explore the past to verify their speculations, it all depends how popular their explanation is among other scientists, but planetary scientists have been able to do some direct observing that has tested their ‘theories’ which have failed in more ways than one. This is not to say things like their orbital mechanics are a failure, but on the contrary, it’s been quite amazing to say the least. This part of science is not in question, because this particular part of it does in fact enhance knowledge! Missions have revealed quite often a completely different reality than from what scientists have told the public they expected to discover from their beliefs in planetary evolution. While keeping the basic ‘theories’ intact which was the problem in the first place for the falsifications, they instead created major revisions with Mercury, Venus, Mars, Jupiter, Saturn, Uranus, Neptune, Pluto, comets, asteroids, and most of the moons of the solar system! This is why direct observation is so important and vastly superior over speculation. Saturn’s geysering moon Enceladus which data has been confirming creationism is now known for its amazing performances. The Cassini spacecraft recently made another pass through the geysers at close range and sampled some of the particles. More data of sodium and potassium was discovered which was then used to hype up the mission by speculation about life. However, there is something that was not hyped up to the public with new data coming from Cassini. The challenge of old age assumptions with Enceladus has become a major obstacle in fitting in the data. Nicholas Altobelli quoted in science daily says, “Enceladus is a tiny icy moon located in a region of the outer Solar System where no liquid water was expected to exist, because of its large distance from the Sun.” Not only that, but another challenge to the idea of tides having an impact on creating the heat on the moon for billions of years which one expert in here referred to a long time ago. A new study was published in Icarus which was conducted by Chin and Nimmo who calculated that the obliquity tides do not significantly heat Enceladus. Any heating would be around a thousand times too small as a heat source for the moon’s powerful geysers. Not long ago, scientists were telling the public at large that comets nothing more than dirty snowballs from the pristine outer reaches of the solar system nudged in toward the sun by passing stars. But direct observations have proven otherwise! Missions that included Halley, Borrely, and Tempel, have shown there are minerals that require high temperatures for their formation, calling for radical revisions of ‘theories’. Now enter Comet Hartley 2, visited last November on Deep Impact’s extended mission, nicknamed EPOXI. Natalie Wolchover’s headline on Live Science says it all: “Quirky Comet Hartley” which confounds every popular evolutionary idea. The question is, should the public hold to higher expectations with these so-called experts with space exploration? After all they are spending billions of dollars for this research and look at the results they are getting. This is not to say scientific discovery is bad in fact it’s good because it brings reality back over speculation. The money was well worth spent on the fabulous jobs the techs have been doing for bringing to earth, in our lifetimes, a highly impressive treasure of new data about the solar system. This includes those who have worked hard for years to save the delicate particles from the Genesis mission! And look at the Cassini mission, its original intent is long since complete and yet it’s still going strong with collecting amazing data! When a scientist goes to work doing scientific research for a living, there is a tendency at times to take public support for granted, believing their work is justified on grounds for its own sake. There have been articles written that are warning scientists and scientific institutions to re-think their presumed authority. Mistakes and surprises are partly responsible for the given warning to scientists on their understanding of nature, and the universe in general. The public invests a lot of their hard-earned money and in turn they expect results. Often times scientists are back peddling on previously well established theories. For example, the “Crab Nebula has shocked astronomers by emitting an unprecedented blast of gamma rays, the highest-energy light in the Universe” says the BBC. It defies any explanation known to man which has worked on studying it for many years. Then there is creating a story using a lot of imagination to fill in gaps in evolutionary thinking because the evidence doesn’t point to it. For example, New Scientist reports, “Horsetail fossil tells tale of plant evolution.” But does it? When the reader looks for the evidence to start telling this tale, there is none to be found anywhere! The article does in fact talk about a fossilized horsetail that must have been preserved in a hot spring environment but goes on to say it looks modern. Channing’s work now “clears up” the story about evolution in this matter, claiming there was innovations conducted by natural selection the article suggests. But does it? Channing’s study pushes the origin of modern-looking horsetails back another 14 million years, to 150 million years before the present. Then claiming this plant had suddenly popped into existence 150 million years ago (stuff happens theory in evolution) and never dreamt up any new innovations all the way to the present except, if anything, the older ones were bigger and better! Like New Scientist’s article, studies on evolution are among the worst who take on the label of “scientist” but provide no return on investment to society – in fact, who do much to misuse and harm society while bragging about their status as scientists. When it comes to a PhD, it confers no more authority on a scientist than a real estate license does on a realtor; it depends on what the individual person does with the skills and learning they acquired. Look at the good work being done by citizen scientists! Better a field amateur with years of observations than an armchair professor pontificating from his PhD microphone! This in no way is intended to insult many honorable scientists working out there using their position for the good of mankind, doing honest work each day, and providing society with a good return on the public’s investment. However, let me make this clear! Professional scientists need to realize, they must earn their wings each day. Not everything they do is scientific, and not everything a non-scientist does is unscientific. A scientist speaking outside his or her area of knowledge can have opinions no better than those of anyone! One of the solutions to this problem with scientists lack of connection with the public is the media. The media needs to practice “critical thinking” in its articles rather than hype up everything that comes out as though it were gospel. Also, scientists ought to serve society not preach to it! In the model of an old universe, Enceladus has a problem. You see, evolutionists have been trying to account for a heat source from a tiny moon of Saturn that was expected to be frozen out many years ago with it’s assumed old age. Estimates about the heat source were very conservative, around 1.1 to 1.4 gigawatts. Recently the challenge has increased as Cassini discovers a more accurate measurement of what Enceladus is producing. The energy output is considered to be at the “powerhouse” level which surprises many scientists. This is not the only observation that gives old age models fits, but another recent discovery, scientists have a new project to to account for in the evolution of the universe and that is, how can a young galaxy cluster that existed according to big-bang cosmology, when the universe was in the adolescence stage of its presumed 13.7-billion-year age look so mature? The cluster, labeled CL J1449+0856, was observed by the European Southern Observatory’ with a very large telescope (VLT), at the Paranal Observatory in Chile. With the old age framework, the article fails to explain how even one mature cluster could even exist at that young age. Observations of maturity in the early part of what is assumed to be the beginning of the universe is nothing new. In 2002, scientists were oddly suggesting that “the grand finale came first” thereby pushing the formation of stars and galaxies into the first 5-8% of the assumed age of the universe, and then claim everything was fully formed as far back as it was possible to imagine, and that there were 10 times as many stars forming in the distant early universe as there are today. Using the Spitzer Space Telescope, a team of scientists back in 2005 discovered that the most distant stars they ever observed at that time already had well-developed stars! The pattern is clear, the farther back they look, the more mature structures they observe which is contrary to evolutionary expectations. So what are they exactly learning? When a model becomes more complex through falsifications it’s not a sign that it’s the correct model. The correct model is, the creationist one which predicts a young universe and special creation, not a step by step evolutionary process! A mysterious announcement with a touch of hype was presented last month, NASA was calling for a news conference in December. Could it be? Did NASA actually discover life on other planets? Speculation exploded all over the internet! As it turns out, it failed commentators speculations. What they discovered was evidence of a bacterial strain found on Earth that was capable of metabolizing arsenic and incorporating it into structural molecules of the cell. GFAJ-1, was found at Mono Lake in California. When a shortage of phosphorus occurs, this particular bacterial strain is able to incorporate arsenic into its biological structures. This may seem strange or counter-intuitive but the key is in its concentration which can render it non-toxic when it reaches a certain level. Arsenic has similar chemical properties as phosphorus does. This certainly does not constitutes evidence for alien life forms! Moreover, researchers discovered GFAJ-1 suffered a fitness loss. There was a 38% drop in growth rate when fed on arsenic rather than phosphorus and also the bacteria that was fed arsenic appeared structurally weaker than those fed on phosphorus as demonstrated by the robust integrity of the phosphorus fed cells in comparison to the arsenic-fed cells when prepared for analysis. Not only isn’t this proof for alien life forms, this observation wouldn’t be good for expectations in the framework of evolution. This was well-orchestrated publicity stunt by NASA in order to obtain attention for itself. 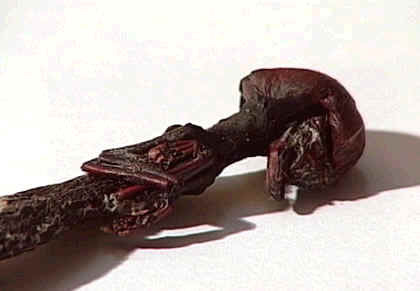 Speaking of alien life forms, a video appeared where AP reporter Seth Borenstein states, “Evidence for E.T. is mounting daily, but not proven,”. The video begins by claiming, “Science is not about blind faith” which is true, good science is not about blind faith, but he’s talking about no examples to go by but claim they know what they are looking for. Borenstien states, “Lately, a handful of new discoveries make it seem more likely that we are not alone – that there is life somewhere else in the universe”. Alien biology is all about man’s imagination rather than emperical science. How good are scientists speculating about what’s out there in space? It’s one thing to talk the big talk, it’s another thing to back up that talk. The Cassini mission which has been utterly amazing with it’s observations has gathered more observational data of the geysers on Enceladus. This phenomena continues to erupt out the south pole. How good were scientists at predicting such an observation on Enceladus? 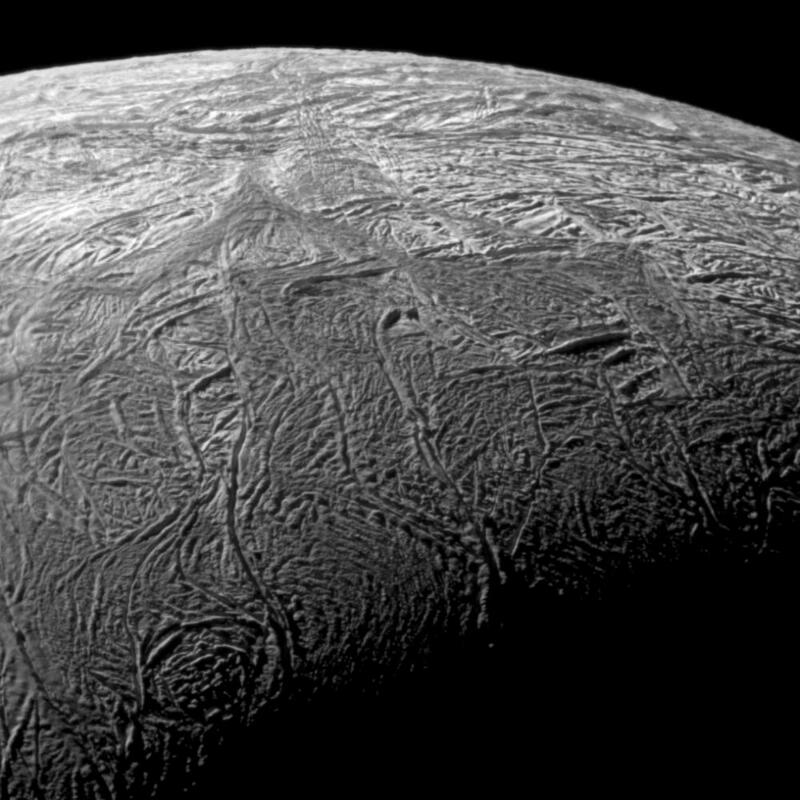 Scientists believed based on it’s assumed age of billions of years old that Enceladus should be an inactive moon, frozen out long ago. The geysers were discovered last year show bright jets shooting gas and dust outward at supersonic speeds. These particles create the E-ring we see around Saturn. Active geysers would have never been predicted by scientists because of very old age assumptions. The solar system as well as the universe is way younger and yes there is more activity yet to be discovered! Now scientists speculated on the level of complexity of these geysers contain, the new data shows them to be more complex than previous thought. My point is this, scientists who are into alien biology are going by blind faith, they have trouble predicting what’s in our own solar system let along trying to predict what is further out there! 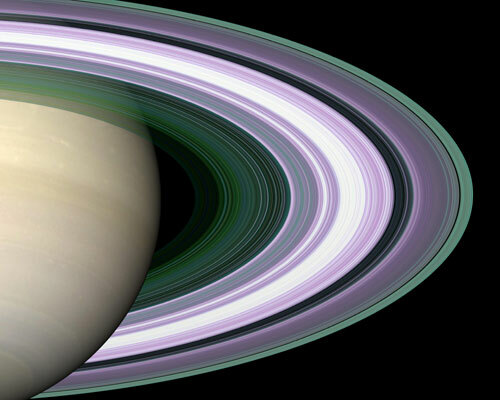 Keeping Saturn old was not much of a challenge for secular planetary scientists, it was easy to just assume the planet with it’s rings was 4.5 billion years old and they expected to observe those expectations. However, the Cassini mission didn’t turn out the data in what they expected. For example, Saturn’s rings with its array of beautiful colors and shapes that in 1610 were called by Galileo who was the first to discover them, “”handles” or large moons on either side of the planet. Many years later, Christann Huyges proposed that Saturn was surrounded by a solid ring. The first pictures of majestic rings were taken in 1979 by Pioneer 11. The Cassini spacecraft began to take highly detailed pictures of Saturn’s rings that were absolutely breath-taking but surprises began to mount for those who believe the Universe is billions of years old because Saturn’s rings are young-looking. The ices are way too clean to be 4.5 billion years old being under the forces acting upon them that are so pervasive. So the old idea that proposed the rings formed when Saturn did fell out of favor with a need for new imaginative explanations. One has turned up and this is not a new idea in particular but a variant of another idea, according to the BBC news: “Saturn’s rings may have formed when a large moon with an icy mantle and rocky core spiralled into the nascent planet.” Whenever observations in our solar system do not match the old age framework or a particular theory based on naturalism, an asteroid or comet is then evoked as the alternative explanation. For example, that alternative explanation has been used for other planets like Mercury and Venus. It was funny to read that Carl Murray thought it was “a clever way to explain the peculiarly icy nature of the rings” lol. In Science Daily, the article boosts about how in 1979, Prof. Akiva Bar-Nun from Tel Aviv University’s Department of Geophysics and Planetary Sciences “developed the theory that there were lakes on Titan. Upon falling to the moon’s surface, he theorized, the hydrocarbons in the atmosphere would form lakes with a depth of approximately 43 meters had they been covering the entire surface of Titan. In addition, he hypothesized that the same elements would form aerosols in the atmosphere.” Later estimations were even higher based on the assumption it’s billions of years old. What Cassini spacecraft actually found in 2005 concerning bodies of liquid on the surface of Titan are restricted to scattered lakes in the polar regions! The prediction vastness of the lakes was falsified while his other prediction concerning the lakes being hydrocarbons rather than water was verified. In 2005, the Cassini spacecraft made a starling discovery, there are active geysers at the south pole of little moon Enceladus! It had astronomers shaking their heads, how could a small dead moon be still be geologically active after 4.5 billion years? It should have been frozen out billions of years ago because of lack of bulk, they say. 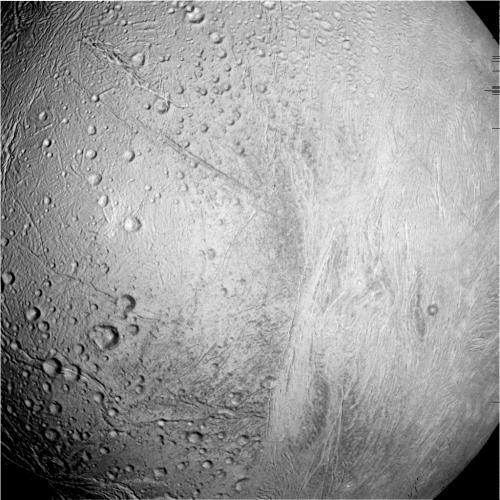 Some computer models were created to find an alternative explanation to keep the moon old, Cassini Project Scientist Dennis Matson came up with a subsurface ocean picks up ions in the rock that bubble upward and explode out the south polar cracks. Questions emerge, like how the ocean survived for billions of years in a moon just 500 miles across, why they erupt at the south pole, and why other moons don’t do this? JPL came up with another story which calls for friction between the sides of subsurface cracks to keep the interior warm. Questions emerge with this story, Why does this happen only at Enceladus, and not nearby Mimas or Tethys? What makes this unique to this one moon? Don’t other moons librate? Isn’t all other moons of Saturn have perfect spheres and don’t they have tidal stresses too? It’s truly amazing on what has been discovered! While the Cassini mission has thrown secular theories a loop, it has provided a wealth of great information on confirming the Bible! Planetary scientists came across something truly amazing back in 2005. Enceladus, one of Saturn’s moons was found to be erupting with plumes of water vapor out of from its south pole! This was quite a shock to those who believe in the solar system being 4.5 billion years old because the phenomena at that age would violating the laws of thermodynamics. Online publications like space.com stated that this moon because of it’s presumed old age should be not active but rather it should be frozen! So scientists scrambled to find an energy source that powered geysers. They looked high and low for an energy source but came up could come up with Tidal heating. However, neighboring moons like Mimas which is bigger than Enceladus and endures more tidal stress than Enceladus is not active. Eventually more study revealed that Tidal heating was not viable. So now what? How do they reconcile the physical evidence which shows a much younger age with their theory? A computer generated simulation which cannot be checked with empirical data. This in turn becomes a playground for storytelling. And sure enough the computer was programmed with the old age framework to come up with a simulation that worked for 4.5 billion years. And they believed they found one as Jet Propulsion Laboratory filled in us in with the details of the model. 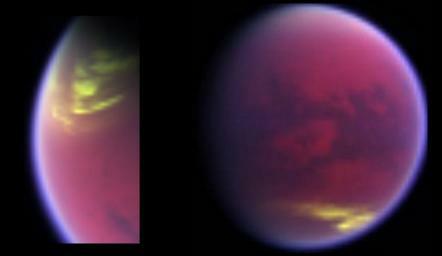 We are blessed to observed such phenomena which indicates a young solar system. The 4.5 framework doesn’t allow evidence to lead to a conclusion rather they have a conclusion first then attempt to fix the evidence which isn’t matching up with their theory. It’s quite possible to observe more eruptions in the future which will put those who believe in evolution back to the drawing board or should I say more computer simulations. And for those of us who believe in creationism, rejoicing once again!